Our Central Florida Dark Shadows Fan Club would love to have you down for a book signing here in Orlando Florida. We helped organize a signing for David Selby a few years ago here and would gladly do the same for you. His was held at a Barnes and Noble and we have 3 to choose from. Here is contact number for the closest bookstore : 407-894-6024. I can be contacted by e-mail thru our club website: pat@cfdsfanclub.com. Thank you for your consideration and reaching out to us fans. Patrick McCann. Dear Patrick, That sounds like a great idea! I'd love to come to Orlando. Florida is one of my favorite places in the world. I'll be in touch! And thank you so much! 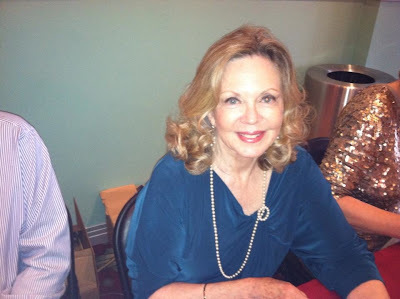 another member of Orlando's Central Florida Dark Shadows Fan Club here, which recently celebrated our 20th anniversary. Pat forgot to mention that when David Selby did his book signing it was sanding room only, We had 80 people attend the recitation from his book “My Mother’s Autumn. there is a photo from that event on our website. Yes! I want to come! I emailed Patrick. Thank you so much! Looking forward to the release of your new book Lara ! and see if she "picks up" on the idea. All the best on your tour ! Dear David, I came to David-Kidd for each of the first two books. So naturally I will be coming there for WOOLF MOON RISING if you will have me. I think my publicist is setting something up as we speak! Thanks for offering your support. See you soon! You might want to consider coming to Dragon*Con in Atlanta. Dragon*Con is popular culture convention focusing on science fiction and fantasy. It has been held in Atlanta for over 25 years and is the 6th largest annual convention held in Atlanta. My wife and I will be attending this coming Aug 30–Sept 2, 2013. This sounds like a good idea. I would love to come to Atlanta! I'll see what I can do! That would be so nice! I go to Dragon*Con every year, and it would be fabulous to meet 'Angelique' this year too!!! We're in! Kathryn Leigh Scott (Josette) and I are coming to Dragon-Con. See you there I Hope! Its not far outside of Hershey. You could come visit the town that smells like Chocolate. Thanks for the suggestion. Do you think fans would show up? I love chocolate! It would be awesome if you could come to Arkansas. I will would take a half day off from school to attend if you could possibly come. I would love if you could attend. Please consider and Thank you. I also live near, my mom and I would probably come. Books A Million in North Little Rock also has had several book signings I think. I would think so. It is in a very busy shopping area and is one of the few bookstores left in the Harrisburg area. I could ask the local comic book store where I buy the monthly Dark Shadows comic to put up a notice if you can commit to a date and time. Thank You for considering this location. Thanks so much. I'll tell my publicist. How many fans do you think would come? There's a Barnes and Noble down here in Spanish Fort, AL! Also a Books-A-Million in Gulf Shores, AL. I also work for a local comic/scifi/horror/anime/gaming convention called Mobicon. If you are interested in coming down here, my email address is bzywizy@yahoo.com. Dark Shadows has always been a part of my life, and Angélique has always been my favorite character, so I would be tickled pink to meet you and get your autograph! I'm eagerly awaiting Wolf Moon Rising. 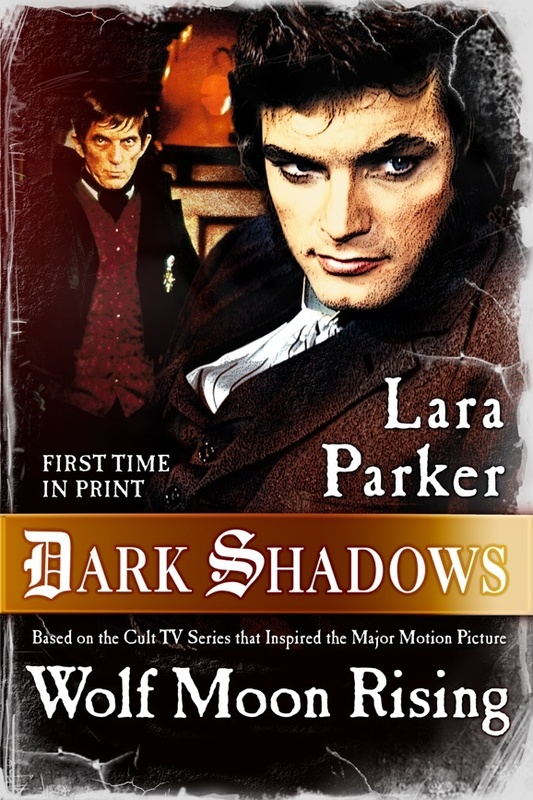 Long live Dark Shadows! it looks like I may be coming to Mobile sometime later in the year. Thanks for your offer. Thanks, Skylar, I'll be in touch! I can't wait to hear from you! Mobicon is every third weekend of May and it would be wonderful to have you as our media guest if you're interested. I'll be at the Barnes & Noble on the Upper East Side 150 E 86 St at 7:00 pm on September 9! See you then! Can you make an appearance in Pittsburgh if possible? I am in the West Palm Beach, FL area. If you would be willing to come this far south or maybe the Ft. Lauderdale area, I would love to set up a signing or 2 for you. I have been with SoapFest in Marco Island, FL since 2004. I usually work security and transportation. I have also sent this blurb to Pat the woman who runs SoapFest. Additionally, i have a friend who is a librarian in Ft. Lauderdale whose branch might be interested in setting something up. I've sent your email on to my publicist and I'll be in touch. I did a play in Ft. Lauderdale a long time ago. Thanks so much, Shari, I think I am coming to Florida, possibly Orlando. I'll see how it works out. Hello! I am so glad to hear that you are considering a signing in the Orlando area. A few years back, we went to David Selby's book signing at the Barnes & Noble in the Dr. Phillips area, and he had a very large, welcoming crowd. Here is a link to the store for you to pass along to your publicist: http://store-locator.barnesandnoble.com/store/2120 Dr. Phillips is right outside of Orlando, and there are lots of lovely stores and restaurants in the area, and the store is only 5 minutes away from the I-4 interstate. I hope that you'll be able to come, but still, I wish you much success with your new book (can't wait to read it). There's a great bookstore in Scottsdale, Arizona (http://poisonedpen.com/). I'd love to be able to see you. How about Diesel in Malibu? I'd like to personally invite you to the biggest Barnes & Noble in Dallas, Texas. The phone number is 214-739-1124 they book a lot of authors. They said they will have your new book and carry the other two. I am a long time Dark Shadows fan who would love to meet you, buy all your books and hopefully get posters, pictures, ect... signed by my favorite witch who I watched on Tv and movies as a boy. I have been in touch with Jim Pierson about getting you and Kathryn Leigh Scott booked at Texas Frightmare Weekend in May of 2014. I spoke with the promoter at last years VIP party and he is interested. Dark Shadows comes up a lot on the Texas Frightmare Weekend forum and I would post you coming to Dallas to ensure more than 25 people would come. I could also post it on the Dallas Comic Cons, Texas Autograph, and other horror sites. I could easily round up people I know personally from the conventions. You would make one grown man feel like a starry eyed little boy. Sounds interesting. I'll try to make it. Texas! Wow! Is there any chance you will get to Rochester, NY? You are awesome! It would be great if you'd come to the Barnes & Noble in Joliet, Ill. (2621 Plainfield Rd.). Their # is 815-254-2253. Joliet has a population of 147,745 (as of 2011), so I don't think you'd have any worries about at least 25 people showing up. Sadly, I don't remember much about doing Alice. I'll try to come to Joliet. Thanks for the suggestion!